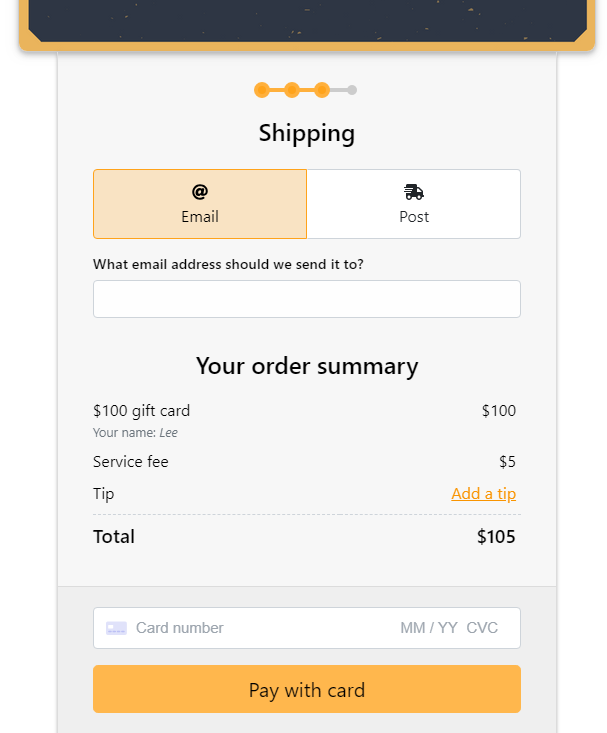 Can I charge my customers a fee to cover payment & Gift Up fees? Yes you can. 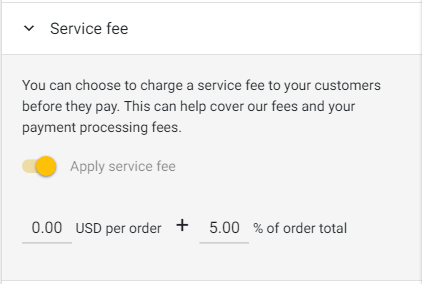 By default we do not set up your account to do so, but it's really easy to collect a service fee to help pay for both our fees and your payment provider fees.